Will the Natalie ‘Episode’ Deter Even More Women from Entering Politics? 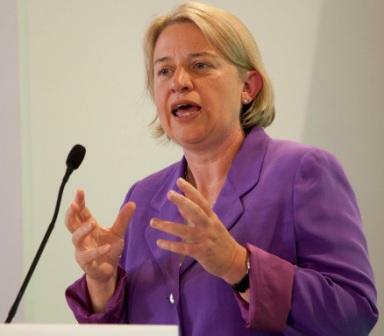 I’ve got to be honest, my heart went straight out to Natalie Bennett who recently had a nightmare of a week and found herself plastered all over the media for entirely the wrong reasons. She had several interviews where she just floundered and the press went to town. For anyone who does public speaking it’s our worst nightmare, suddenly drying and forgetting what you want to say. Your head gets full of white noise. The difference is that if it happened to me at most 200 women or so would know and it wouldn’t be a topic of debate for days afterwards (except in my head). I admire her honesty in saying ‘I was awful’ and for apologising to her supporters. If there are things in the world that you want to change, if you want to follow that passion and aren’t just looking for a cosy career – then do it! We need lots more people, women and men, involved in politics who aren’t from the ‘political class’. It doesn’t matter what your educational and work background is – whether you’ve been a dinner lady or a cleaner or a teacher or worked in the home – you have knowledge and skills that politics needs. Get a good support network around you, to back you and help deal with the child care or the elder care or just the washing, recognise that it isn’t going to be easy and you are going to take some knocks and blows – such is the nature of politics, but try not to take them personally. I sincerely hope that she’s able to depersonalise this. Prior to politics Natalie worked as a journalist, and if you’ve read Jackie Ashley’s interview with me, you’ll know that’s no picnic, especially for women. In the general scheme of things I don’t think Natalie has had any worse treatment than a male politician would in a similar situation (given that we live in a sexist world). That said, I’m on record as despairing of the totally macho, knock about, braying in the house, adversarial type of politics which we have in the UK government. I don’t think it’s conducive to good government and I certainly don’t think it embraces gender equality in any meaningful way. But I do hope this doesn’t deter other women from entering the political arena. I believe we will have a better system if more women were involved. I support campaigns like 50/50 Campaign for equal gender representation (click here to read more & sign the petition). And as in the ‘real world, if we had a more equal balance every politician would benefit.